It is time for our annual reminder that if you are looking for a rabbit for Easter, please consider a chocolate or stuffed one. 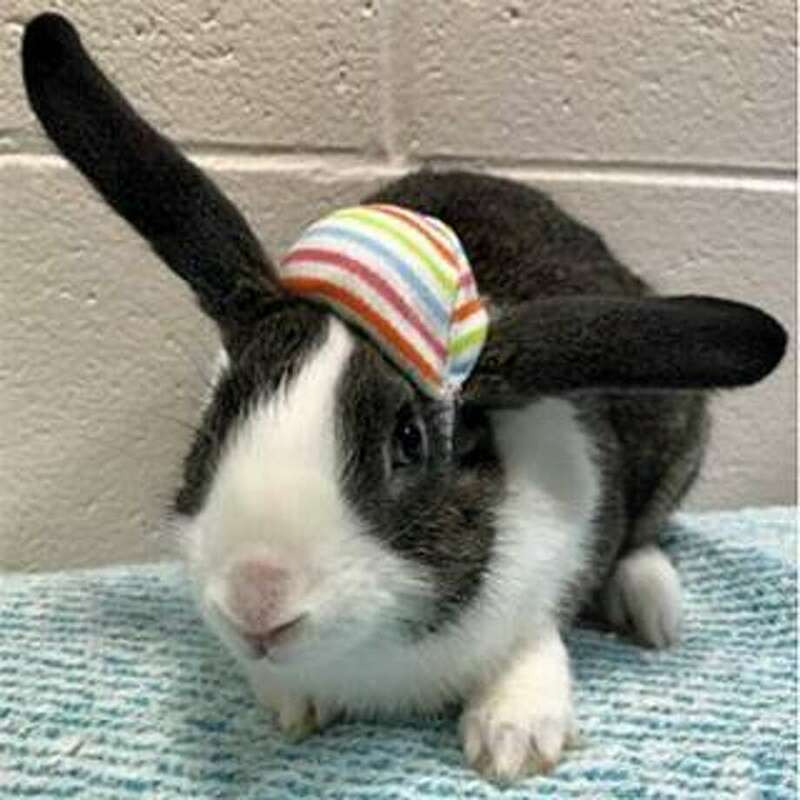 However, if you are looking for a pet rabbit and you are ready to provide all the things a bunny needs for a healthy, enriching life, consider coming down to meet Kringle. Kringle is about 2 months old and was raised with his mom and litter in our foster care program, so he is curious, social, and enjoys being petted. We would love to tell you more about him. To learn more about Kringle, visit the Westport Adoption Center at 455 Post Road East, Westport, CT 06880, or call 203-227-4137.